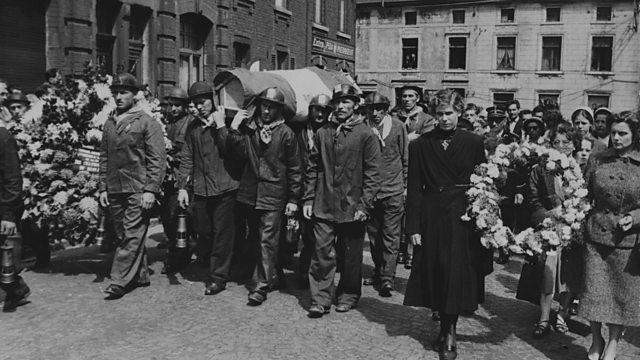 How an accident at a mine in the Belgian town of Marcinelle in1956 killed more than 100 Italian migrant workers. In August 1956, a fire at a coal mine in Belgium killed 262 people. The tragedy caused grief across Europe, but particularly in Italy because more than half the dead were Italian migrants. Simon Watts brings together the memories of Lino Rota, a rescue worker at Marcinelle, and Rosaria di Martino, whose family moved to Marcinelle from a village in Sicily. The interview with Lino Rota was conducted by Italian journalist, Paolo Riva. Visit the Last Miners Project on Facebook to see images of the last miners in Belgium.